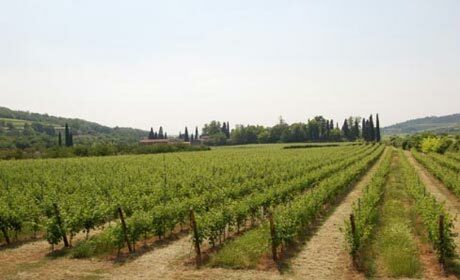 The Valpolicella wine district is situated between Verona and Lake Garda and it contains the valleys of Negrar, Marano and Fumane. This is a very interesting area surrounded by vineyards, beautiful Venetian and Renaissance villas and Romanesque churches. One of the most characteristic signs of the Valpolicella area are the “marogne”; these are centuries- old stone walls, made of local lime stone, which are used to create terraces on the hills and also to divide the wine fields from old land roads. Valpolicella is famous, not only for its prestigious wines such as the Amarone and the Recioto, but also for its caves, marbles and the old culture and tradition of its towns. Typical products from Valpolicella are cherries, peaches, salami, soppressa and olive oil. During the spring season, when all the countryside is coloured white by the blossom of the cherry trees, many different festivals such as the Palio del Recioto, the cherry festival, the Magna Longa (yearly hike through the vineyards, tasting food and wine at five different wine cellars) are organized. Located between the Po valley and the Alps and close to the Adige river, which was in the past the most important line of communication between Italy and Europe , Valpolicella contains evidence of ancient human presence: the caves of Fumane, which can still be explored today, were inhabited by the Neanderthal about 35,000 years ago. During the Roman empire (which in Verona started in the middle of the II century BC), Valpolicella was inhabited by a population of Etruscan origin called the Arusnati and it is since that time that the cultivation of grape vines has been more developed and diffused. The town of San Giorgio Ingannapoltron with its beautiful church was the most important religious centre of the Arusnati. 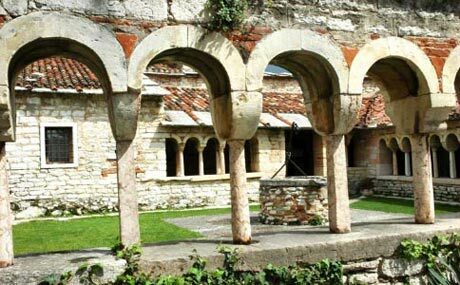 In the Middle Ages, Valpolicella became a county under the Scaligeri: the famous rulers of Verona and the province in the Middle Ages. 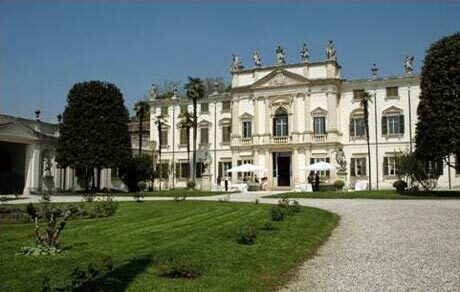 Later, dominated by the Republic of Venice, the area became a favourite place for the nobility, who lived in beautiful villas such as Villa San Sofia, commissioned by the famous architect Andrea Palladio and many others like Villa della Torre in Fumane, Villa Rizzardi in Negrar, Villa Giona Fagioli in San Pietro Incariano, Villa del Bene a Dolce’ and Villa Novare in San Maria di Negrar. Most of these Villas are now wineries located in beautiful parks and gardens that can be visited. Villa Lebrecht, in the centre of Valpolicella in the small town of San Floriano, hosts the faculty of enology and wine production of the University of Verona. Here each year, 20 new students graduate to learn the ins and outs of wine production in Valpolicella. Valpolicella is also very attractive for its landscape and the natural wonders such as the “Ponte di Veja” (a natural stone bridge) and the ”Molina waterfalls”.